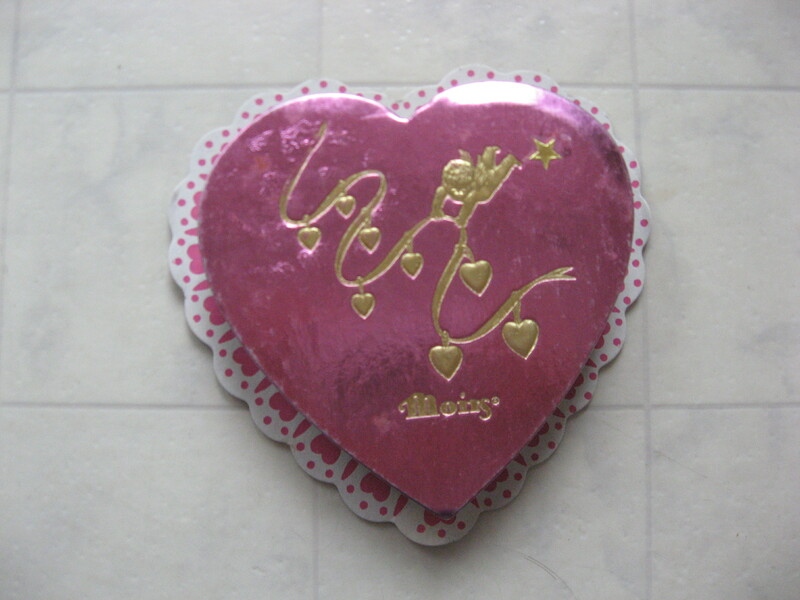 This is, well was, a box of chocolates from February 14, 1990. A boy by the name of Nicholas gave these chocolates to me. And I kept the box. Strange because I’m not usually sentimental this way. Sorry boys, but if you dated me and gave me a gift, chances are it’s with someone else right now. Particularly if it was of the teddy bear persuasion. I’m of the mind that once the relationship is over, the stuff from that relationship needs to go away. Unless that stuff is a) gorgeous jewelry (and sadly, it rarely is) or b) one of the coziest pairs of socks I’ve ever owned (which technically weren’t a gift…I stole them). But apparently, I keep old chocolate boxes. And emails, which brings me to my daily resolution. I was looking through my emails today to make sure I haven’t missed any important replies (I have – EM, an email is coming to you soon!!) and I realized that I have emails in my inbox from 2005. Not important ones or sentimental ones. But oddly, I did keep one or two from The Crazy Ex-Boyfriend. I think I might have done this for my own amusement – they are particularly crazy and remind me of how crazy I must have been to have dated such a nutter. Also in the ol’ inbox: a bunch of sign-up account emails from various groups I joined and then promptly forgot about, some old bills, random notes to myself from myself (you do it too, don’t lie), and a whack of emails from when A. was in K-town. So in the spirit of kicking off what will likely be a month long spring clean, today’s resolution is to clean out all of the email/facebook message inboxes. And in the process, to make sure I reply to the odd one I haven’t gotten around to yet. I’m not throwing out the chocolate box though. It’s too cute. That makes me wonder what Brett is up to these days. Maybe I will facebook him. I still have all the emails Leif sent to me when we were first dating. I can’t get rid of them. Technically I could just print them out. Maybe I should do that. What was their last name? I really can’t remember anything.